This week I’m again sharing a dual post for the SOLC and Poetry Friday Roundup. This week’s Poetry Friday Roundup is at Carol’s Corner. She’s sharing a sweet spring poem by Ralph Fletcher. Stop by to see what other poetic treats await you! Back in January I drove down to the Portland Museum of Art. I was scouting for a piece of art to respond to for an ekphrastic art contest there. I wandered through the galleries, considering paintings, sculptures and photographs. I lingered at a Wyeth landscape, eyed one of my favorites by Ipcar, and considered the paper mache sculptures by Christopher Patch. Eventually I arrived at a temporary exhibit of Richard Avedon’s photos. This photo of Andy Warhol drew me from across the room. I stood before it and stared for the longest time. I was struck by the violent patchwork of scars and the artist’s hand pressed against his stomach, as if holding himself together. I kept thinking of the violence of the injuries, of the surgeon working his artistry on the canvas of the artist’s flesh. I had no idea of the story behind this picture until I looked it up when I got home (Click here if you’d like to read about it. ), but I knew immediately I wanted to write a poem in response to it. In fact, I wrote several. I ended up submitting two poems to the contest, one responding to this photo, and another to a self portrait by Lois Dodd. I just got my rejection letter yesterday. I was disappointed, but on the bright side, they said that the Warhol poem “came close.” Sadly, that only counts in horseshoes and hand grenades, right? I’m a big proponent of celebrating rejections, but at some times it’s easier to do that than at others. Of course, another look at this photo puts a poetry rejection into perspective. This entry was posted in Slice of Life and tagged SOLC 2019. Well done, Molly! This is an incredible poem. I can’t believe it only “came close.” I love the echo of the “pop” and “snap” and the “pieces and peace.” It’s a winner in my book! Thanks so much, Catherine! It is a very different poem than I usually write, and it went through many, many revisions. Powerful poem on a striking photo and a story I never knew. I love the rhythm of the poem and the double meanings of the shots taken. I can see the flash going off and unfortunately also the flash of gunfire. Thanks for this. Thanks! I’m glad you picked up on the double meanings of those shots. It’s a crazy story and a powerful photo! Love the lines: flesh heals but wounds steal/pieces and peace. Rejections are hard, but “comes close” would have made it even harder for me. Thanks, Diane. I definitely feel the sting of “comes close” but also remind myself that’s better than no comment at all. I agree with Diane and Lynne about flesh heals but wounds steal. A lot of inner truth to this line along my way to embracing the journey “I’m a big proponent of celebrating rejections, but at some times it’s easier to do that than at others.” As a teacher, I’m really good supporting others. Myself? I’m working at it. You are definitely fabulous at supporting others! Maybe the poem was just more than they could handle because it is awfully good. Its structure and the double meaning of the opening and closing lines are great. The poem is vivid and invites the reader both to revisit the image and to learn more (what a story!). Glad you shared it here where you can get some proper appreciation! Thanks so much, Amanda. Maybe I’ll tell myself that now with each rejection– “Well, I guess it was just more than they could handle!” lol That should ease the sting! I do so appreciate all your comments and support this month! You have me cringing here, Molly. Your words are much too real for squeamish-me. Which is not to say they aren’t powerful GOOD words. They are very cleverly, sparsely written – an obviously crafted poem. This poem was very different for me to write. It felt so…visceral, maybe? Mollie- So strong and so intense. It’s clear, from the rhythm and word choice, that you spent a lot of time on this and I definitely think it’s award worthy. I had to click over, of course, and read the back story. 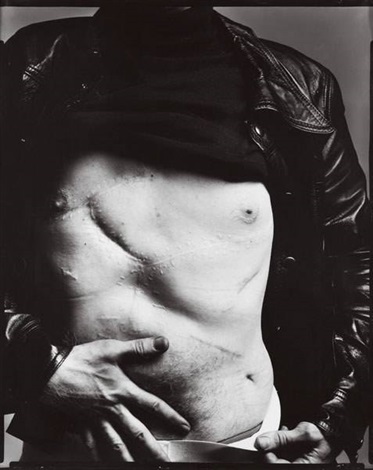 I never knew anything about Andy Warhol’s wounds. Thank you so much. It’s a crazy story, isn’t it? I was so surprised that I’d never heard anything about it. It’s a horrible story. Sadly, it’s just one of many. Your poem is powerful and visual and tells a heart wrenching story of guns and pieces and peace. Nice work. Oh, wow. This is quite a poem. Don’t you just love how a visit to a new place can help you stretch and grow as a poet? This poem has the sound of the incident and the sound of Warhol. I love the comparison of canvases and the transformation. Well done, Mollie! You edgy poet, you. I love that you continually submit your poems–and embrace the rejection! I got to visit your beautiful museum when I was in Maine over the summer. A gem! Thanks, Kim. I try. Stephen King writes about saving all his rejections and that inspired me. I’m getting more rejections than ever! That means I’m pushing myself. Right? The PMA really is a great museum. I’ve been meaning to submit to this competition for a few years now and finally got it all together. I’ll just have to start thinking about next year’s entry now! The picture is quite shocking and the poem gets right to the heart of the image so very well. Looking at the comments, it seems like we all agree that you should have won the contest! I am curious though – what is an ekphrastic poem? The picture sure grabs your attention! An ekphrastic poem is a poem that is written in response to a piece of art–in this case, the photograph. Thank you for the definition! I will remember that for another slicing day, and for my creative writing class. It’s a winner in my book. Excellent! Thanks for the vote of confidence! I appreciate it. I had no idea that happened to Andy Warhol…so frightening! “each line sewn but no way home” really struck me. Thanks for the link to your post. It’s so interesting to try to think of rejection in a different way. I was inspired by Stephen King in “On Writing.” Kiki’s 100 a year is way too much for me! I’ll be happy if I can gather 10 this year–ecstatic if I get to 20! Molly, I can see why you stood in front of this photo. It is a haunting one. You certainly put in a great deal of work on this raw poem. The placement of the word topography was precise in luring us further into the poem. The word choice for the ending lines were just right. Thanks, Carol. The picture drew me immediately, and then I saw that it was of Andy Warhol and the whole artist, canvas, destruction, creation thing started working in my brain. I appreciate your thoughtful feedback!